In revisiting those times, in trying to get back in touch with that man, he and the rest of Weezer have created something that’s completely unique to their catalog, a record that tries its damnedest to feel alienated by the conflicts of the past, but discovers that it’s actually at peace with them. In short, it sounds like Weezer. 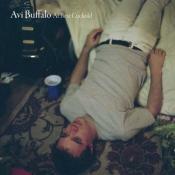 Those magic chord changes, the wiry guitar licks, Rivers Cuomo’s awkward, faltering vocals – these may be brand new songs, but they’re all so immediately familiar that, as the title may suggest, they create one almighty aural comfort blanket. The tracks devoted to Weezer's bond with their listeners are the most tormented and theatrical, as if Cuomo and Co. stitched together their own American Idiot. There's a sense that Weezer made another record of massive, hooky rock not only because that's what the fans want but because they know it's what they do best. While the record is first and foremost concerned with winning back the faithful, in its most abandon-free moments Everything forgets it’s a return-to-roots album and takes some exciting leaps. Rivers' lyrics are just as bad as they've always been, the band's sense of pop-song structure is still the backbone of every track, but that doesn't matter when everyone is having fun. While the tones of their youth can be really, really difficult to recreate—EWBAITE shows that they can still be pretty good, too. It’s no ‘Pinkerton’, but Weezer, finally, are back on track. Ultimately, there will be scores of fans that will say this is the best Weezer album in years, but the truth is much deeper than that: even with its flaws, this is easily the best album Weezer has released in over a decade. Weezer writes some of its best--and worst--songs in years. Everything Will Be Alright in the End doesn’t set a new benchmark for Weezer, but hopefully it can go lengths to ridding them of the ridiculously unfair catch-22 they’ve faced. In spite of its moments of charm, it’s a far cry from being either a fun retreat into 20 years ago, nor is it any indication that Weezer's reputation will be in better health 20 years from now. EWBAITE chugs hard and whines with its heart on its sleeve, and while they’re longer in tooth, the unstoppable Weezer still say it like it is. Everything Will Be Alright in the End echoes much of Weezer's past, but the real selling point here is that, for the first time since Pinkerton, it feels like a coherent album as opposed to a loose collection of songs. While Cuomo might be frustratingly stuck in himself, Everything Will Be Alright In The End shows that he’s taking the first trepidatious steps into an earnest reflection on what it’s taken to be the man he’s become. The most passable =W= moments on EWBAITE are also those that are embarrassing enough to punch holes in the teenage bedroom wall that is your faith. But Weezer are embarrassing; they’ve always been embarrassing. What they’ve rarely been is dull, which is precisely what these canny imitations are. 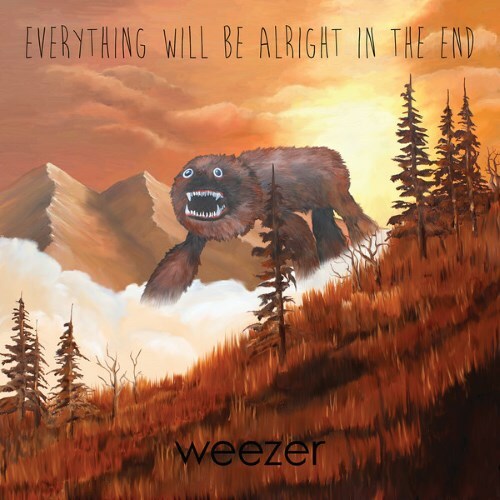 Everything Will Be Alright in the End is without a doubt better than anything the band has released in the past 10 years, but it’s not a great Weezer album – not by a stretch. In the End still has its fair share of the innocuous, ordinary, Weezer-by-numbers stuff that has turned people away. Weezer-by-numbers can still produce satisfactory pop, but it's hard to find complete consistency with it. Overall this record feels like a pocket in time and the breeze of nostalgia is welcome in parts but is wholly unsatisfying. weezer's best since pinkerton. these songs actually form a cohesive project that doesnt feel empty or fractured anywhere, as some of their early 2000's work did. this record had the pent up energy that was being held in ever since pinkerton, and released it in the form of one maximalist power pop record. Great showing here by Weezer! I mean, it is no Blue or Pinkerton, but it's damned near the closest thing they have put since then. Pretty nostalgic as a whole. HEY, it’s charlie17, deciding to release another weezer track by track, this one will be on a “good” album, “Everything Will Be Alright In the End.” Supposedly Rival Gummo and the Blue man group went back to the shack for this one and banged out some bangers. I hope that’s true because I’m not sure if I can survive another terrible weezer album. The moment everyone collectively let out a sigh: no, we didn’t just get a decent Weezer record in 2014, or even just a good, but a pretty good one at that. Of course, this one isn’t the best they’ve put out with a pretty flimsy few tracks that result in it going out on a fizzle and not a bang but hot damn did the four years break benefit Weezer more than they could have ever imagined. Purchasing Everything Will Be Alright in the End from Amazon helps support Album of the Year. Or consider a donation?